All racquets must be in new condition showing no signs of use (i.e. ball fuzz, string wear, grommet tampering, plastic removed from handle, scrapes on bumper guard, etc.) to receive a refund (not including string/labor). Refunds will not be given for return of used racquets. New racquets can be returned for store credit minus a 15% restocking fee and the exclusion of strings/labor only within 30 days of purchase. Customer is responsible for shipping the racquet to RPNY Tennis LLC. All new racquets have a one-year manufacturers warranty against defects from the date of purchase. Defective replacements are at the sole discretion of the manufacturer. 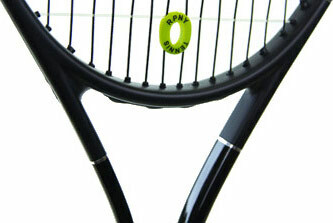 Racquets sent to the manufacturer for evaluation can take up to 6-8 weeks. Racquets that have been abused, run over, damaged from heat, customized, mis-strung, etc. will not be replaced. If purchased racquet is no longer available, the manufacturer may send a model which is similar. If the manufacturer does not replace your tennis racquet, it will be returned to you along with an explanation from the manufacturer. Customer is responsible for shipping charges back to manufacturer. All customized racquets sales are FINAL. Once the racquet has been customized/altered/strung it is considered used and accordingly refunds will not be given. Items must be returned in the condition they were received. Packaging must be unoped, untampered, undamaged, unworn, unwashed, etc. Customers will be refunded the current price for that product in store credit. * A 15% restocking fee is applicable at the discretion of RPNY Tennis LLC. Items must be returned in the same condition they were received and in their original packaging. Items may only be exchaged or returned for store credit minus a 15% restocking fee. All shipping fees will be at the customers expense. All sales on string reels are FINAL. In the unlikely event that an item you ordered is not immediately available for shipment, you will be notified via email within 2 business days. We will make every effort to ship your order complete. However, if one item is on an extended backorder, we will ship the order in 2 parts. We reserve the right to refuse delivery, or limit quantities of any product ordered. Please note that we cannot guarantee the availability of any item until you place an order. Customized orders can take up to 14 days to fulfill. Orders are subject to acceptance by RPNY Tennis LLC. Your privacy is important to us at RPNY Tennis LLC. Our primary goal in collecting personal information is to provide you with an efficient and customized experience. Under some circumstances we may require additional financial information. We use your financial information, including credit card information to verify your name, address and other information to bill you for use of our services. The information we maintain in your customer file is used to resolve disputes and troubleshoot problems. We do not sell or rent any personally identifiable information about you to any third party. Charges will not appear until item is shipped. Our online ordering system uses industry standard SSL security encryption. Your information is transmitted using an encryption algorithm that only we can decode. We reveal only the last four digits of your credit card number when confirming an order. Of course, we transmit the entire credit card number to the appropriate credit card company during order processing. We make every effort to process your order the same day it is placed. Orders placed before 1 PM Eastern time will be processed the same day. We currently only ship to the continental US. Customers will be contacted via email or telephone with order issues or shipping delays. Please provide contact information where you can be reached quickly. Shipping for strung rackets will take 1-2 days longer. Shipping for customized orders can take up to 7-14 days longer. Orders will not ship on Saturday, Sunday, or National Holidays. Tracking, signature confirmation, and other services vary by carrier.